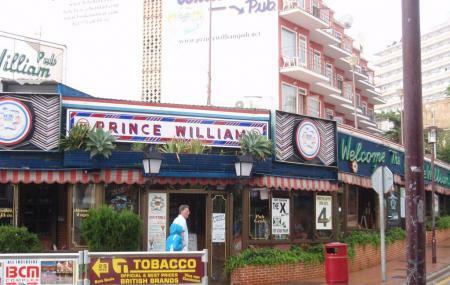 After a hour long tour around the city, if you are looking for a place to chill out, come to The Prince William Pub (Palmanova). The name of the Pub was given after Prince Willam (Prince Harry’s brother) after his birth in 1982. For 30 years till date, the pub has been a popular hangout for locals and holidaymakers. So, just head off to the pub, grab a seat and enjoy some nice cocktail with live music to accompany it. You can even give a try to your voice with their karaoke to impress your spouse. Even if you sound weird it doesn’t matter as your effort should be counted. Right? It’s a nice place to spend few hours at night. Try out the cocktail . The pub is open for 365 days. How popular is The Prince William Pub? People normally club together Western Water Park and Marineland Majorca while planning their visit to The Prince William Pub. Great bar, awesome staff and attention, fair prices and good music. Nice Place & better staff, tipical british Pub in the island.